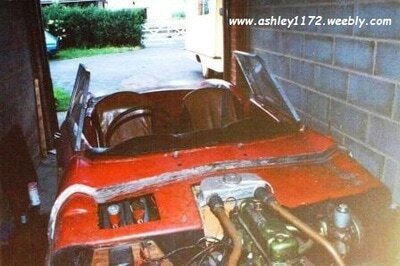 These Ashley 1172 photo's have been taken from the internet. There were only three photo's shown and unfortunately no information was given about the cars builder or owners. 5th Historic Acropolis Rally 2006 ELPA in Greece. 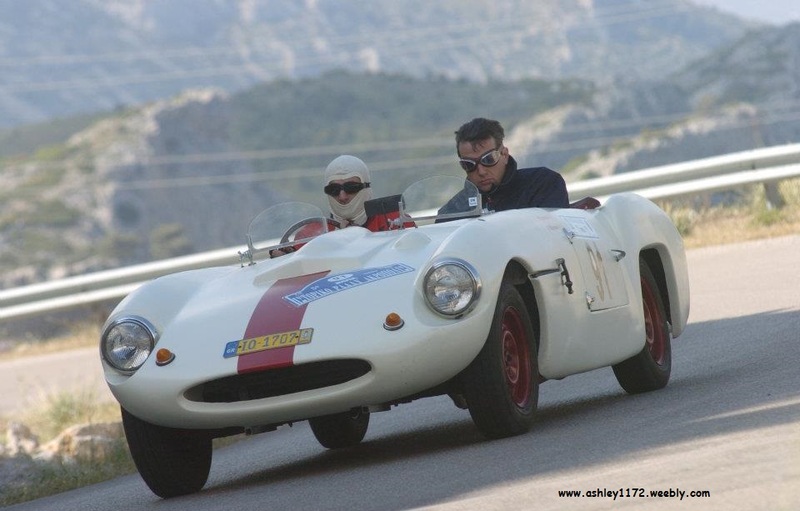 This Ashley 1172 was entered into Regularity section of the 2006 rally and registered as a "1969 Ashley Triumph Special" and given the number "91" for the rally. 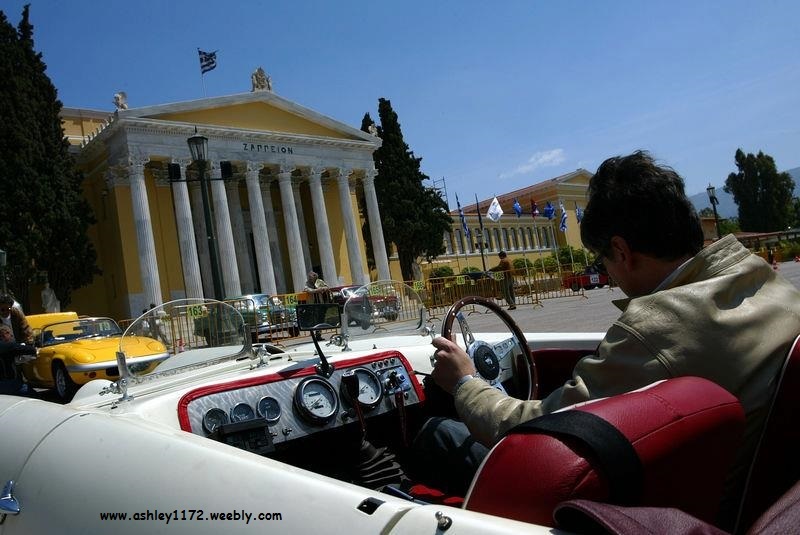 The Scrutineering for the cars took place in front of the Zappeion in Athens, Greece and the rally, The 5th Historic Acropolis Rally, organised by ELPA, took take place from 3 to 7th May 2006. This unique international motorsport event is one of the top rallies in the FIA European Historic Sporting Rally Championship. while the Regularity rally counts for the FIA Trophy for Historic Regularity Rallies. He had purchased it on eBay in December 2005 from Darryl Tidd of Northampton who had only owned it 4 months, previous to that a Jonathan Saunders also of Northampton had owned it since February 1998 and before that Robert Chappell of Derbyshire since May 1992. If any of these previous owners, there friends or relatives see this please contact me if you can provide more information about the car or just want to sign in with me. probably both from a pre 1962 Herald. Once in Greece George replaced the engine with a 1275cc Mini Cooper Engine and has since 2006 been competing in it on a regular basis as can be seen from the photo's above. so keep watching this story. 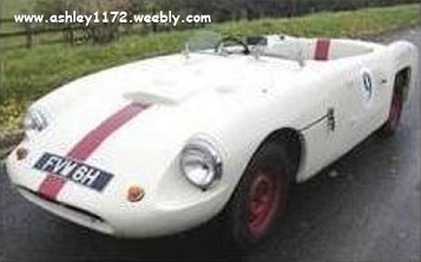 Keith Waddington and Peter Pellandine founded ASHLEY Laminates in 1954 to supply bodies for Austin Seven and in 1956 started to produce fibre-glass body shells for Ford 8. 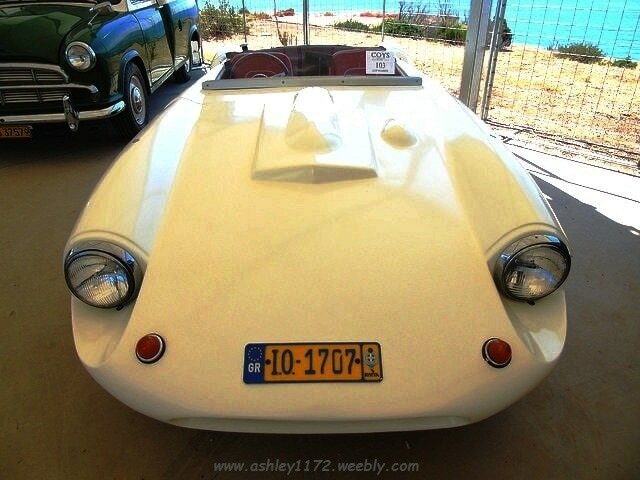 The exotic looks and the sleek lines were the main characteristics of Ashley cars success. Ashleys have been built on many wonderful and weird chassis , so we have Ashleys based on 1938 Singer, 1935 Talbot, Ford 10, Triumph Herald and Spitfire. 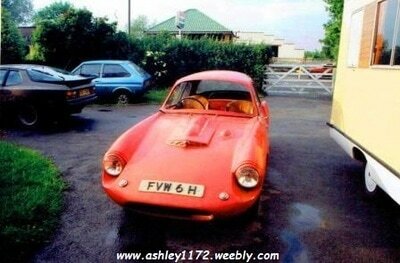 That Ashley made a superior product may be gauged by the fact that in 1960 Autocars Ltd of Israel bought the rights to an Ashley body for its Sabra sports car (Reliant Sabre) and in 1990 a new Cortina-based car was built on a widened Ashley shell, Body shells were available for a few years after Waddington's death in the mid sixties and the Ashley Laminates company was wound up in 1972. 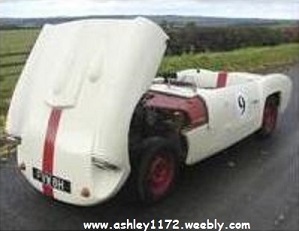 This particular Ashley on offer is finished in White with a red interior and fitted with an 1,172 Ashley shell. 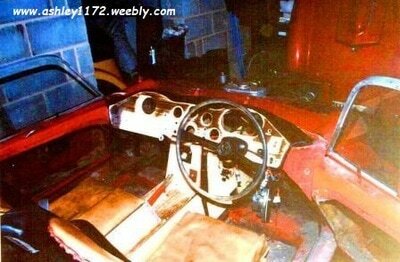 It is built on a Triumph Herald chassis and powered by a 1275 cc BMC engine. It was imported in Greece from UK in 2005 and has been restored. 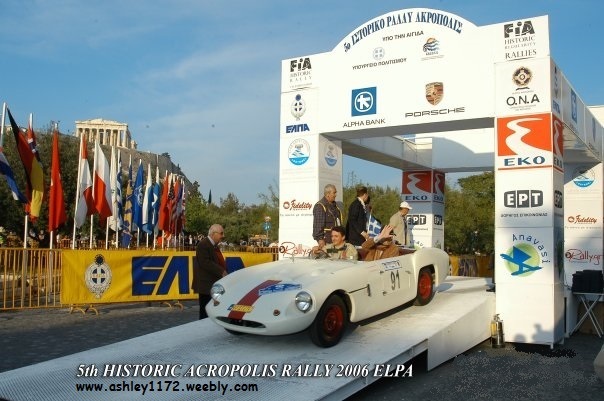 In 2006 the car had successfully participated in the 5th Historic Acropolis Rally. 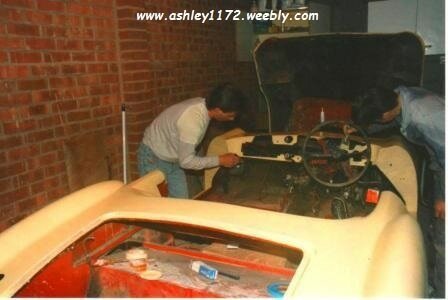 Since then is carefully maintained and garaged and ready to use. This pretty and fully exotic roadster will provide its new owner with the looks and style of a much more expensive car. It comes with FIA paper. According to the perigafes is in very good condition and has a beautiful leather upholstery. Kept in a secure garage. I emailed George to check that it was his car and his reply confirmed it was, he also mentioned that he had made some changes to the windscreen, wire wheels and had resprayed the body. that I saw another photo of the car, this was taken at Coys Classic Car Auction, Athens, Greece. In June 2015 I had an email for Robert Chappell a previous owner from 1992 until 1998 as mentioned above. work done on it until he passed it on. As you can see it originally had a hard top which we removed. 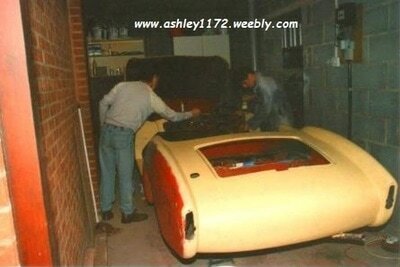 We spent a lot of time on the bodywork because of the GRP crazing and had it just about ready for spraying when my son got married. At which point we sold it on. The chap we sold it to promised to continue with the work which as it is still in circulation I presume he did. however I have lost the link to it now and cannot relocate it. also appear to have come from the same original source/set of photo's, so my thanks to the photographer. ​"Another strange twist to this story"
about a passion he had in the 1960/70's of whilst out riding his bicycle about the countryside (as we young lads did in those days). He would write a log about any rare British specialist cars he saw. 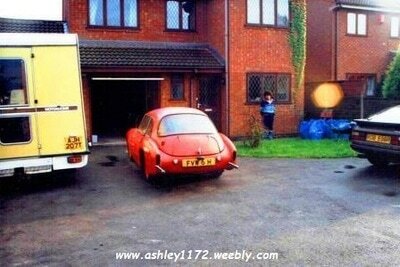 5th January 1970 in Ingatestone, Essex. This car overtook me as I cycled up the A12 Ingatestone, By-Pass heading toward Chelmsford. the last time being September 1972 in central Chelmsford​. and it was previously owned by Mick Smith.